Are you ready for the PET exam? The PET (Preliminary English Test) exam is given in order to evaluate how well a test taker can understand factual and situational information and then react to it accurately in English. The PET test can cover topics such as daily events, reading text from books or magazines, writing personal emails or letters and taking notes in situations such as work or school. Are you ready to take the PET exam? Take this simple questionnaire to find out. Can you read and understand short English texts on a variety of subjects? Are you comfortable reading and interpreting descriptions of people in English? Can you evaluate the truth of statements in English? Have you had practice with formal and informal English conversations? Have you taken and scored well on this kind of exam before? If you answered 'no' to any of those questions, you may want to speak with one of Live Lingua's PET tutors. The first trial PET class is absolutely free. You can speak with the tutor to see if they think you are ready for the PET test and they can propose a study plan for you. No credit card required, and no commitment. The general PET (Preliminary English Test) test is used to evaluate the current English level of a student and is considered an intermediate English test. The general PET consists of a Reading and Writing module that has 8 sections total, a Listening module that has 4 sections and a speaking section that involves a one on one interview between 2-3 test takers. To pass the PET you need to score at least 70 out of 100 points. Do you have any questions about the general PET exam? You can speak to one of our PET tutors for free to ask any question you may have. They will speak with you and evaluate how prepared you are. 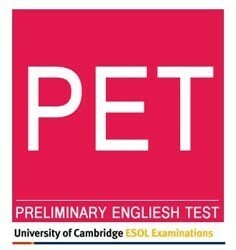 The PET (Preliminary English Test) for schools test is identical in content to the general PET test. The primary difference between the two exams is that the PET for Schools exam contains material that is meant for younger students. This means that while the students need to study the same material, the complexity of the subject matter will be different than it would be for the exam taken by adults. If you have any questions about the difference, please do not hesitate to contact us. Do you have any questions about the PET for Schools exam? You can speak to one of our PET tutors for free to ask any question you may have. They will speak with you and evaluate how prepared you are. Speak To A PET Tutor Today! What makes Live Lingua PET tutoring different from the local tutors or enrolling at a local language school? And best of all, we let you meet and speak to your future PET teacher before having to commit to paid classes! The more PET lessons you enroll in at the same time, the cheaper the hour of class gets. Still not sure if Live Lingua PET tutoring is the right choice for you? Then just try a free lesson with one of our tutors to make sure. No risk, no commitment. "Live Lingua English promises to give the best Skype English lesson and it delivers. I love how easy it was to speak with the academic staff and teachers to make my program." "I do online business, so learning languages online was only logical. What a great idea."